Our weekly meal plans offer variety and flexibility allowing you to pick the recipes that best fit your needs that week. 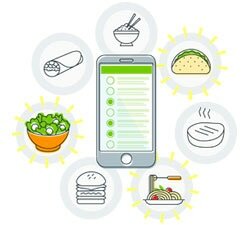 Select the meals you want for the week, and our app will do the rest for you. Add your odds and ends for the week and you are all set! Getting dinner on the table has never been easier. Delicious, home cooked meals the whole family will love.